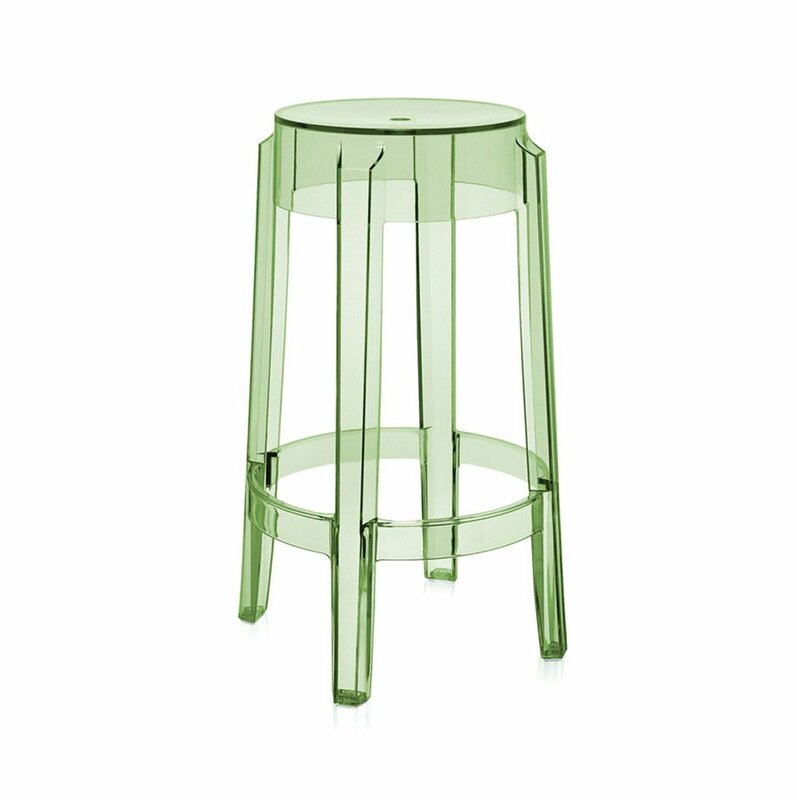 The Kartell Charles Ghost Stool features the rounded, slightly upturned legs characteristic of the classic high stools of the 1800s. Constructed from a single block of polycarbonate, Charles Ghost is indestructible and suitable for both indoor and outdoor use. Available in three heights and a variety of colors.